Here is a list of best free software to limit data usage on Windows. These software let you restrict internet access on your computer, or a specific browser. Some of these freeware restrict data usage when a certain limit is crossed, some limit data usage after a given amount of time, while some of these data limiters simply block a list of websites which consume data. These software to limit data usage give you option to define the data usage limit, time limit, and the blocked URLs. This is a carefully crafted list of 16 software to limit data usage on Windows computers. Along with the description of the software, you will also learn How To Limit Data Usage with these tools. NetWorx is my favorite software to limit data usage. Simply set a maximum upload and download data limit, and this tool will restrict internet access, and also notifies you about it. You can also checkout the list of best free Internet Usage Monitor, Software To Test Internet Speed, and Internet Booster Software. How to Restrict Data Usage On Windows 8.1 computers? To limit data usage on Windows 8, first you will have to set your connection as Metered. Click on the network icon to open the connections tab. Right click on the current connection, and click on Set as Metered. Now go to PC Settings> One Drive> Metered Connections. Turn all the options OFF for maximum bandwidth savings. You can also limit data usage on Windows 10 Enterprise version. Click on How to Restrict & Monitor Data Usage on Windows 8.1, to know more about the process. NetWorx is another free software to limit data usage on Windows computers. This is a very useful tool to track your internet usage and restrict internet usage. All you have to do is set a maximum Download/Upload/Total data limit in MB for a given period of time. The duration may vary from day, week, month, or year. Check the radio button to Alert me when I exceed limit. Apart from limiting data usage, this software also displays real-time internet activity via a graphical timeline. You can view statistical data usage report for a week, month, or year. BitMeter 2 is a free software to limit data usage on Windows computers. This multipurpose freeware can set a limit to internet data usage, display real time internet usage activity, and monitor total internet usage. To limit internet usage, go to the system tray, and right click on BitMeter 2 icon, and go to ISP Restrictions. Set counter for Total Traffic/ Download Traffic. Set alert when a given percent of limit reaches. Once you have set internet data limit, you will be able to view the Days remaining, Data used, and Data remaining. This feature lets you constantly monitor the data usage. View the daily, weekly, and monthly internet data usage with the help of this freeware. To view the total uploaded, downloaded, combined total, average upload, and download speed for the day, week, and month, right click on the graph, and click on Statistics Grid. You can set limit to these modules. 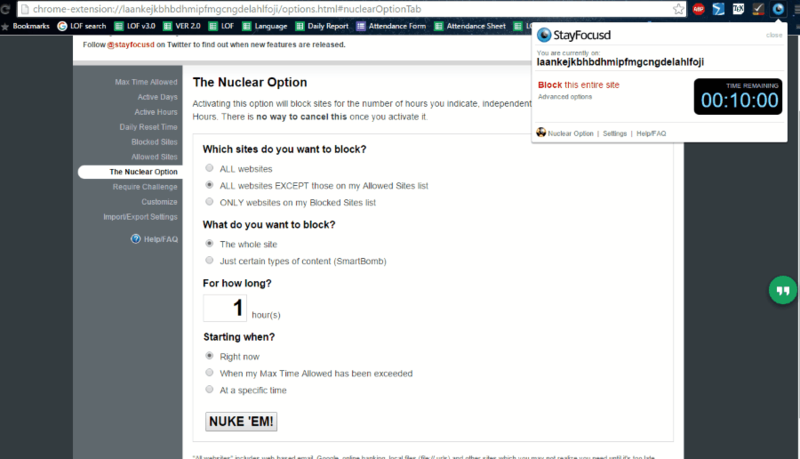 Add websites which you want to be blocked on your computer. Block a program from opening on the computer. There are various actions that you can define to take place, once the time limit is reached. These options include: Log Off, Shutdown, Lock, Hibernate, Sleep, or a custom command. Ground Hog is another free software to restrict internet access on computer. You can set a time limit on your computer and hide the software. When the timer stops, the internet access is disabled automatically. You can add a name to the data limiter software as profiles, and assign different restriction options to them. Only a person with the password has access to the configuration, and you can only shut the software if you have a password. There's an option of Curfew, where you can set hours when the internet access automatically shuts down. This is primarily a software for kids to provide them restricted access to internet. Use FocalFilter to restrict internet usage on your computer. To restrict data usage, you have to add a list of websites you want to be blocked. You can restrict video streaming websites, websites which consume data, or social media websites. Add the list to the My Site List. 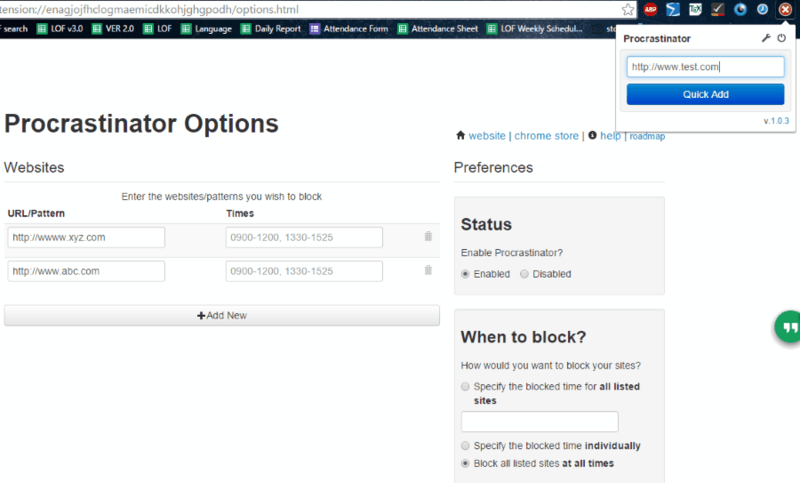 You can even set a time limit for which you want the websites to be blocked. The time span can be selected from 5 minutes to 12 hours. To restrict internet usage you can use SelfRestrain on your compter. This free software to limit data usage is simple to operate. This freeware works almost the same as FocalFilter. All you have to do is add a list of websites to the Blocklist. These websites may include data consuming websites, social networking websites, or video streaming websites. Define the restriction time from 15 minutes to 24 hours. 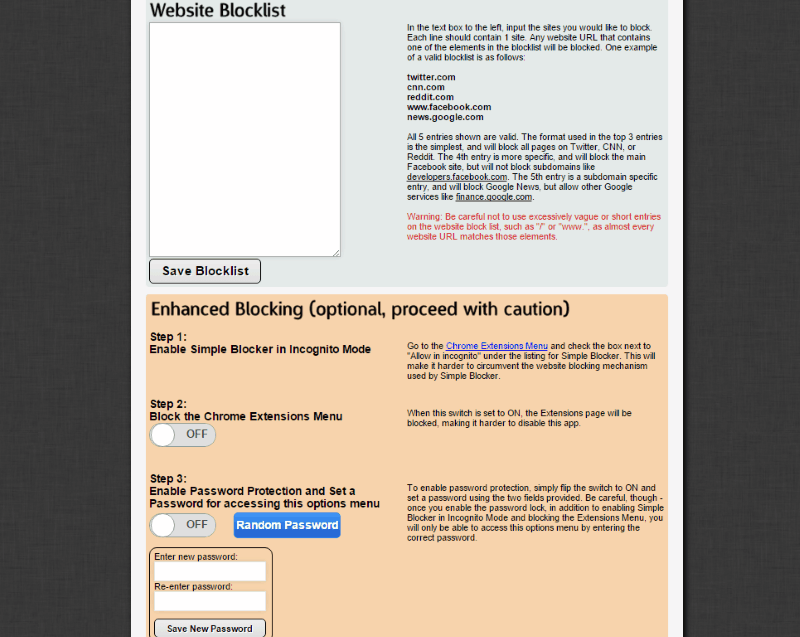 Website Filter: You can add a list of websites you want to block, or you can add a list of websites which you want to allow. Application Filter: Add prohibited applications. The programs will not run if added to the list. Time Control: Set a daily or weekly limit for PC usage. You can also block certain hours separately for a week. The advanced options let you display warning before blocking. Hide the software, and it can only be opened by a secret command. This is an ultimate freeware to set restrictions to internet usage. BlockSite is a Mozilla Firefox extension to restrict internet access. To limit data usage, this freeware lets you add a list of websites to Blacklist, and Whitelist. When you add a website to blacklist, the website will not open. Adding websites to Whitelist will let only those websites open, websites not in the Whitelist will not open. You can even add a password to this add-on for authentication. Import a list of websites, or export your list in TXT format. Set maximum time allowed per day for a website. Set active days and hours during which StayFocus will work. Add a list of Blocked Websites, and Allowed Websites. Block all websites, Block all websites except the Allowed Websites, Only block the websites in the Blocked list. Set if to block the whole site, or certain contents. Set the duration to block. Set if the websites are to be blocked instantly, or at a specific time. This is one of the best tool to restrict internet access on your computer. You can block data and time consuming website through this extension to limit data usage. Procrastinator lets you block a certain list of websites for a given amount of time. This is a free Google Chrome extension to restrict internet access. Add the data consuming websites to this extension's list, set a time duration, and enable the extension. Your browser will not return any data if you try to open the websites listed in the block list. There are not many advanced options, yet this is an effective tool to limit data usage. Website Blocker (Beta) is another good Chrome Extension to restrict internet access on your computer. If you want to block a website to limit data usage, simply open the website and click on the Website Blocker (Beta) icon, add a time duration to block the website, and click on Block This. Go to Options to add a list of websites to block. You can define different time windows to block different websites. Add a password, so that no one can unblock the blocked website. You can also add custom messages to display, if a blocked website is being tried to open. Add social media websites, and video streaming websites to the blocked list, to limit data usage. Enable Simple Blocker in Incognito mode. Block the Chrome extension Menu. Set Password protection to access the Options menu. Allow to enter a website after rewriting a really hard text. Add a list websites with different timings allowed for separate websites. The time allowed varies from 5-10 minutes. This is not a password protected tool, so this internet data limiter is best for personal use only. Block all the data consuming, and distracting websites. Blocked URLs: Add a list/set of URLs, add the time for the URLs to be blocked, apply maximum limit, etc. Whitelisted URLs: Add a list of trusted websites in the Whitelist. Lockdown: Completely block a website for a given duration of time. Add websites like video streaming, audio streaming, and social media websites to the blocked list. Access the menu under the Options tab. Click on the extension icon to view the blocked URLs, whitelisted URLs, etc. TinyFilter is a free extension for Chrome to limit data usage. How to limit data usage with this freeware? You can add a list of websites to the blocked list. These websites may include any website which consumes data. Few websites are already blocked by this tool. You may also block the search of defined keywords. Add the keywords into the blocklist. Add trusted sites which will not be blocked even if they include blocked keywords. Set password so that no one can mess with the settings. There's also an option for Profanity filter, which blocks all the profane websites, and keywords. Go to the Advanced Settings to add a Warning message if blocked website is opened. You can also add a link to which blocked websites will be redirected.